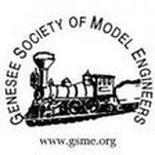 The Rochester Model Railroad Club is a not-for-profit organization dedicated to the preservation, expansion, and education of railroading, both model and full size. Our membership is given the opportunity to pursue, advance, and enjoy the railroading hobby. We are engaged in the construction of a large (2,400 square feet) HO scale layout. Our Seneca Valley Lines is loosely based on the operations and geography of the Lehigh Valley Railroad in the 1960's. Our Annual Open House is held on the first weekend of March. You can learn more about our railroad by taking the Virtual Tour. Please contact us if you are interested in arranging a visit to the club. Visitors are generally welcome any Monday evening we are there, but there is no guarantee that trains will be running. New members are always welcome. We meet every Monday night (except holidays) in the basement of the First Universalist Church, 150 South Clinton Avenue, (corner of Court Street) from 6:00-9:00 PM. Visit our Facebook page and "Like" and follow us.